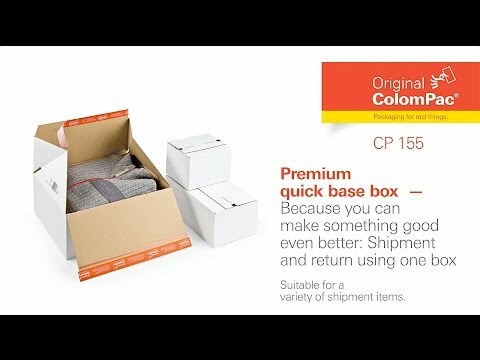 These mailing boxes can be used for returns helping to reduce damage on returned items and providing added convenience for your customers. - Ready to pack in seconds - push out sides and box is made. - Special Z-folding top to increase stability. - Simply fill and seal with the two tidy self-adhesive strips. - Easy opening due to perforated tear strip. - Premium quality - ColomPac branded (CP155).